Within the past 50 years of business we have fabricated tens of thousands of jobs for customers. 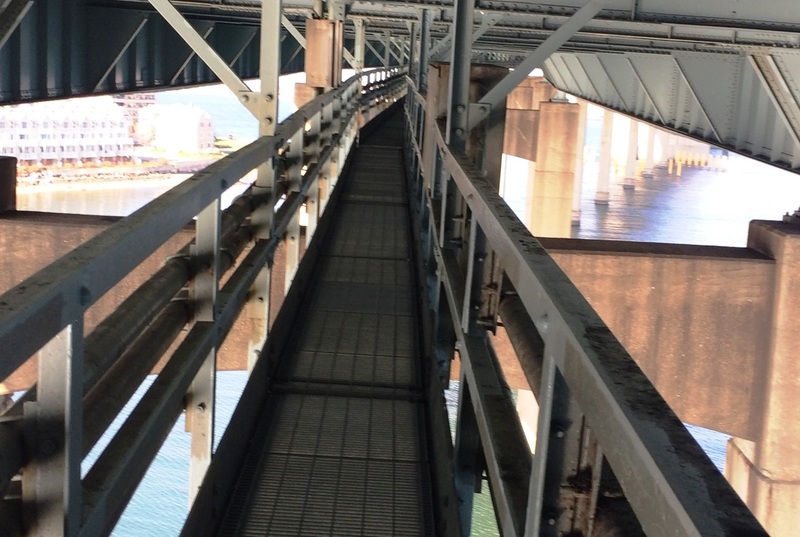 Our jobs have ranged from the simple jobs, such as stair carriers and clip angles, to the more complex and demanding jobs, such as our bridge work jobs and our curved stairs. Many of our jobs have been very “high profile”, especially when it comes to curved stairs. 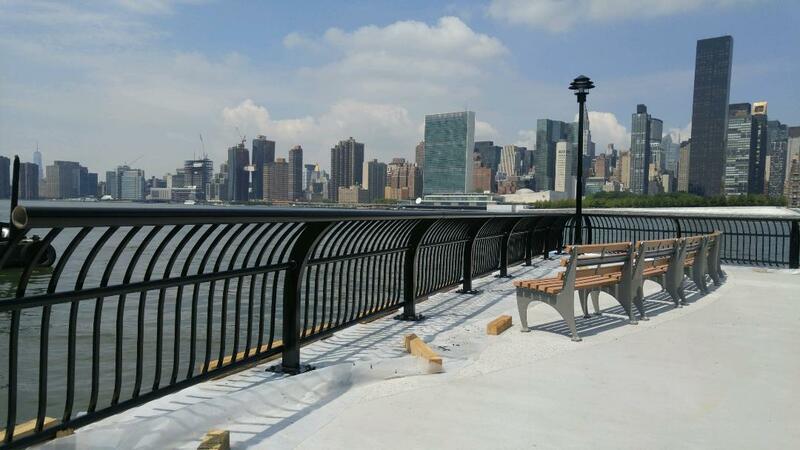 We have fabricated hundreds of curved stairs, with some of the more notable or prestigious being: Facebook HQ, Chanel, Manhattan’s Trump Tower, NBA Hall of Fame, ESPN Sportzone restaurant in Times Square, the stair treads inside the Statue of Liberty. Although some of our most notable work is often the focal point of a room Brakewell also specializes in fabrication that often is never seen. Underneath the NYC streets hidden from sight are manhole covers, statue bases and thousands of feet of steel faced curbing manufactured by Brakewell Steel. Brakewell has been fabricating structural jobs since the doors opened 50 years ago. Our capabilities allow us to do structural work of all types. 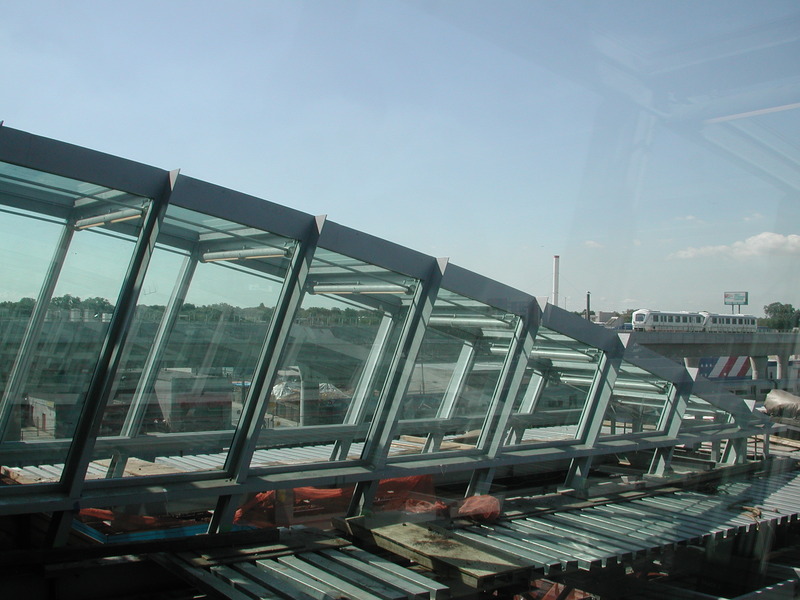 We have done everything from the canopies of hotels and airports to the temporary steel of buildings under construction. Whatever your structural needs are we can give deliver. Brakewell holds an AISC certification in three categories; Steel Building Structures, Simple Steel Bridges, and Bridge and Highway Components. We have maintained this certification for 10 years and you can find Brakewell Steel embedded in infrastructure across the country. Brakewell's pride and craftsmanship shine when building curved and monumental stairs. Our dedication to excellence when combined with decades of shop experience result in project that live up to their design ambitions...being the focal point of a building project. 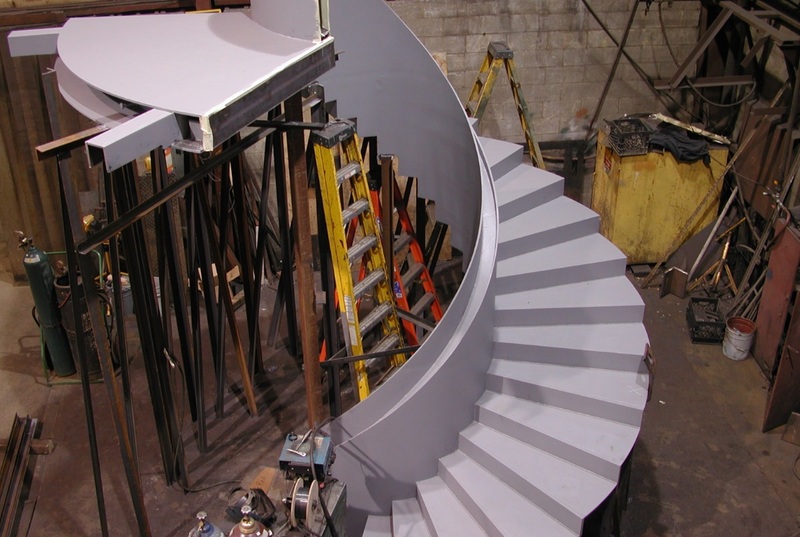 All curved stairs are erected as a complete unit in our shop before shipping to insure that field conditions are met. 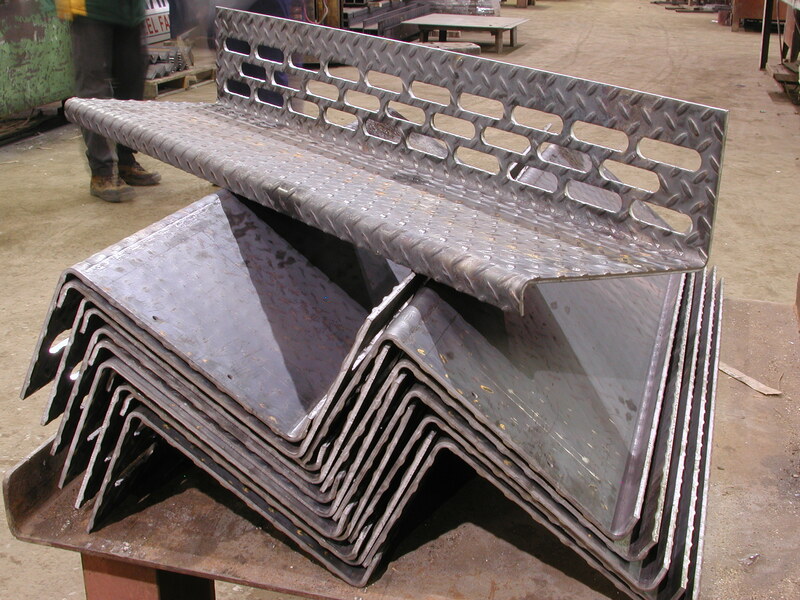 Structural steel fabrication has become the backbone of our company. We have been doing structural work for over 50 years and in that time we have refined our techniques and built countless relationships that make it easy for Brakewell to bring your ideas into reality. We hold an AISC certification in 3 categories; Steel Structures, Simple Bridge, and Bridge Components. With our years of expertise we have the industry knowledge and skills to deliver a quality product on your schedule. Brakewell has built everything from temporary steel that is needed in a rush and will ripped down in a few months to structures that are meant to be there forever. Whatever your project demands Brakewell can deliver. 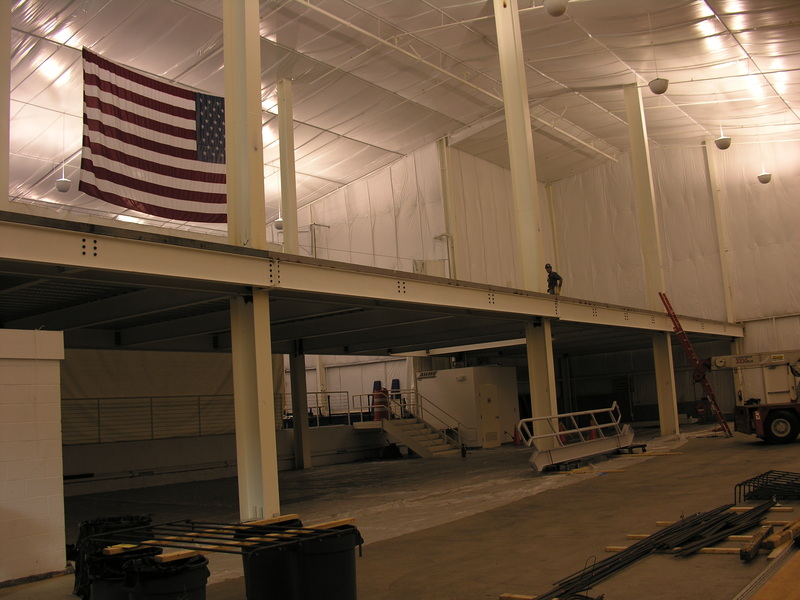 Brakewell has been involved in countless structural jobs; some of the higher profile jobs being the Army West Point Athletics-Gross Center(pictured above), JFK air tram canopy(pictured above), Sgt. Dougherty skate park, CPV power plant, Sing Sing prison, and canopy for 4 seasons hotel. 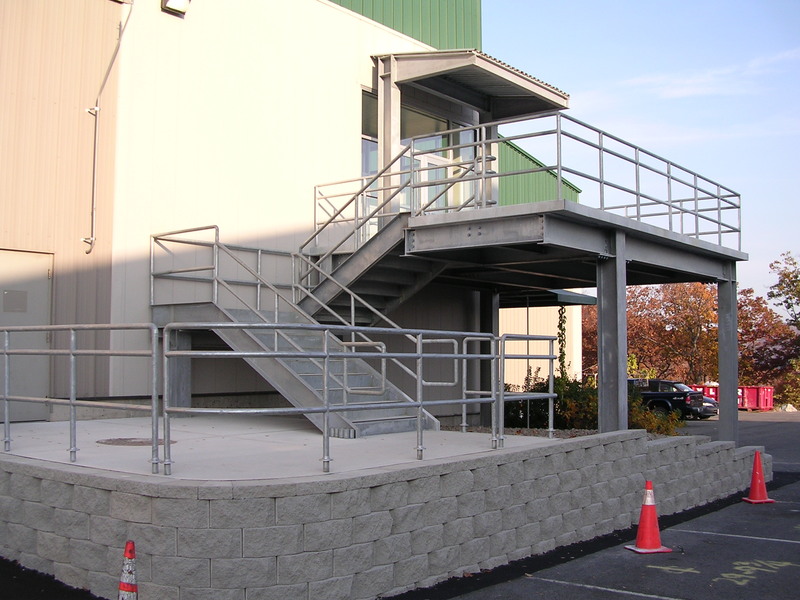 Stair fabrication is something that has become our specialty. Our dedication to excellence when combined with decades of shop experience result in projects that live up to their design ambitions. Staircases built by Brakewell Steel are littered across the country and that is something we are proud to say. Our highly qualified fabrication crews are matched with out knowledgeable and experience project managers. All stairs are erected as a complete unit in our shop before shipping to ensure field measurements are met. Pictured above(left) is part of a straight staircase we did for Julliard as part of the renovation of Alice Tully Hall. You can climb these stairs yourself; find them in the public entrance using the sunken plaza. 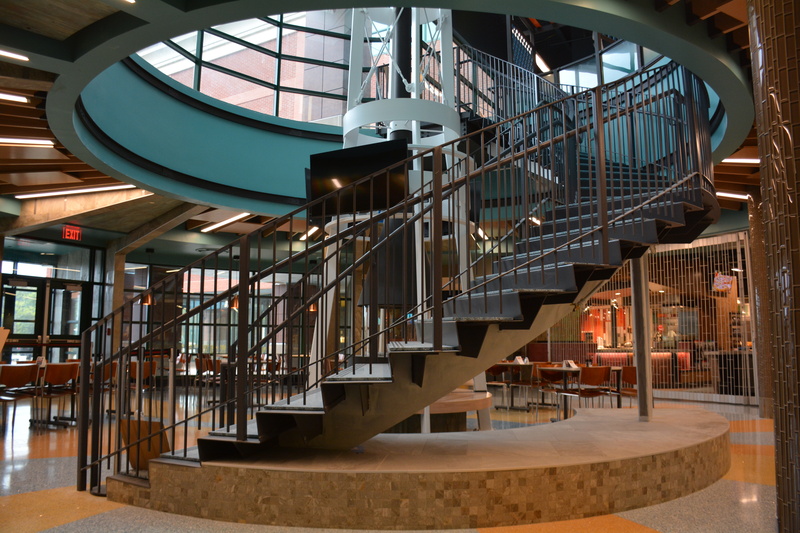 Pictured above(right) is a straight staircase with landing and a guard and handrail, done for Army West Point Athletics-Gross Center. 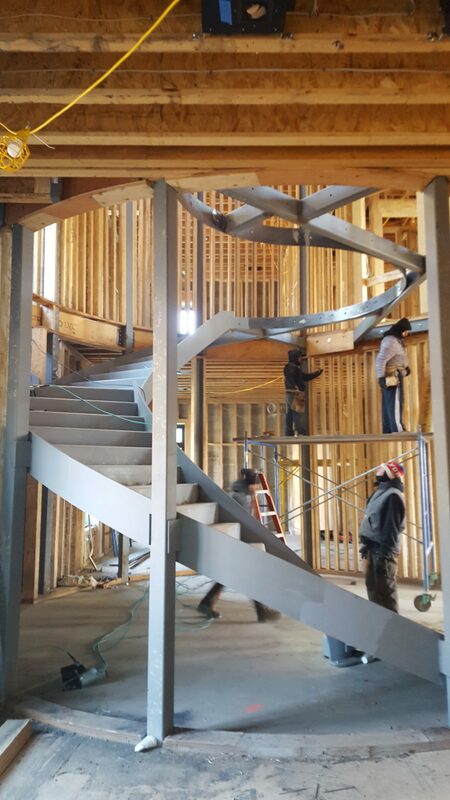 Brakewell’s pride and craftsmanship shine when building curved and monumental stairs. Our dedication to excellence when combined with decades of shop experience result in projects that live up to their design ambitions… being the focal point of a building project. 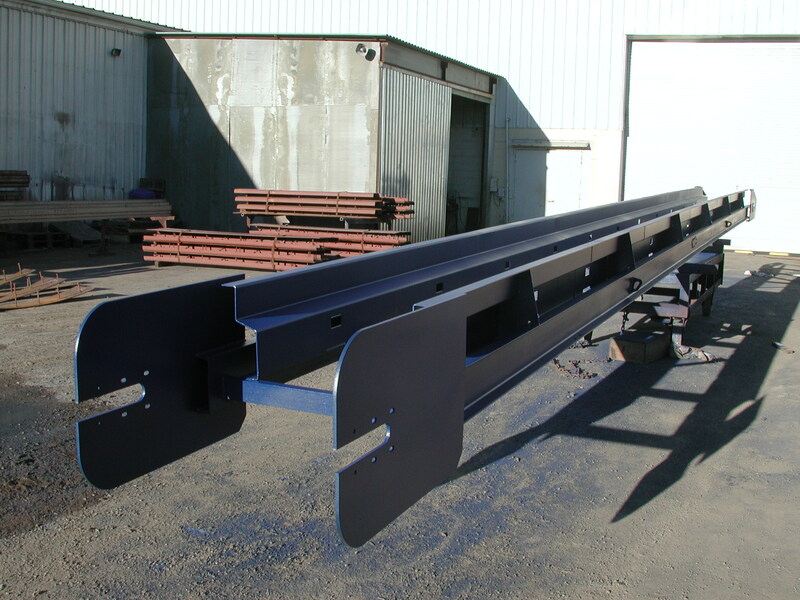 Our highly qualified fabrication crews are matched with our knowledgeable and experienced Project Managers. 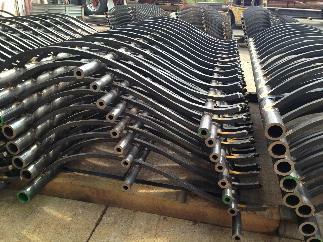 All curved stairs are erected as a complete unit in our shop before shipping to insure that field conditions are met. Pictured above(left) is a prime example of our craftsmanship. The contractor for this project said the stair “fit like a glove and installation took 1 day”. Tanks made by Brakewell are all over the globe. Our customers know that when they get a tank from Brakewell it is held to our quality standards. Our vigorous quality systems ensure that your tank will last for years to come. Custom tanks are not an easy thing to build and should always be in trusted hands. 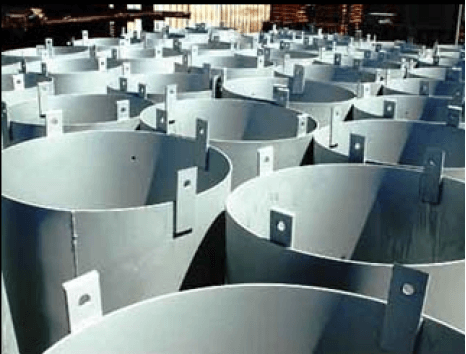 Our experience and craftsmanship put our customers at ease when they order a tank from Brakewell Steel. 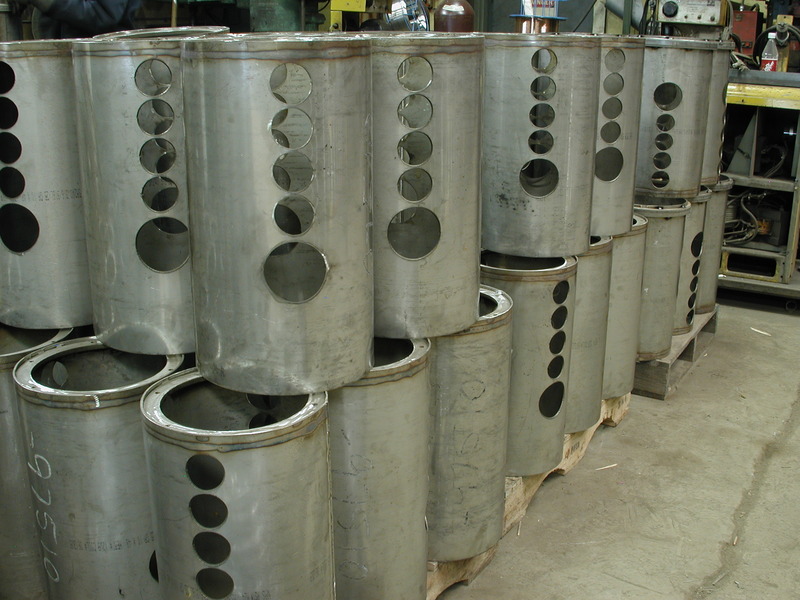 Fabricating custom cylindrical shapes is something that is almost always in our shop. Our shop’s rolling and welding capabilities make it easy for Brakewell to be your one stop shop for any cylinders you may need. 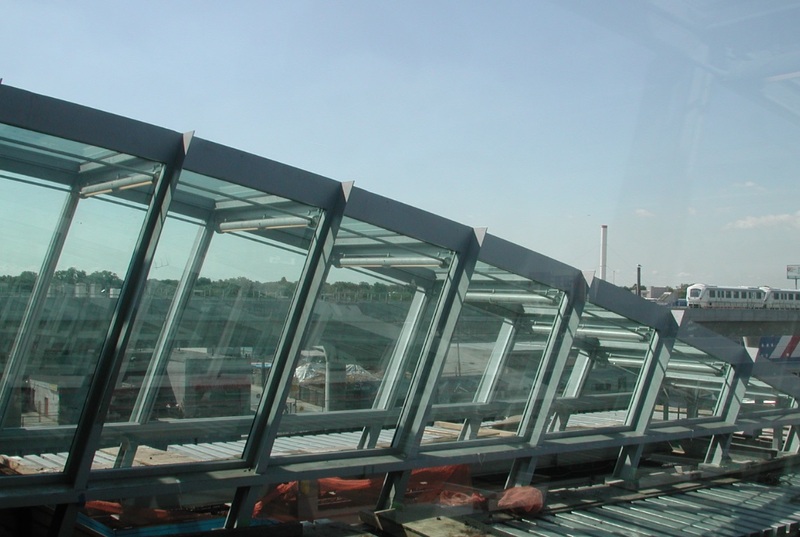 We have made many column covers and structural braces as well. Our shop capabilities and industry knowledge makes project like these run through our shop quickly and efficiently. We can get you the products that you need on your schedule. Pictured above are just a few examples of our work: canisters(left) and tanks(right). Curved fencing is not something that just anyone can do. Our shop’s rolling and welding capabilities coupled with our experienced project managers ensure that your project will reach your design ambitions. 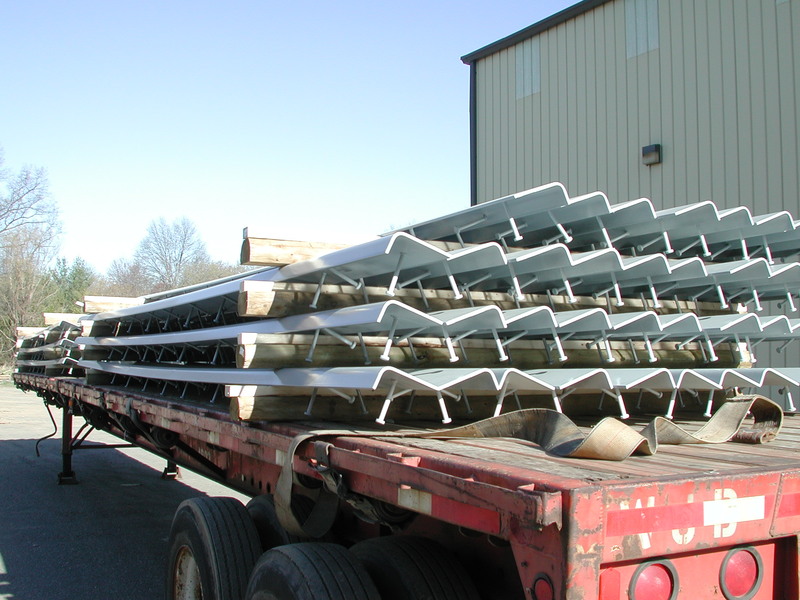 Rolled fencing projects are not simple and require a experienced and knowledgeable fabricator. We have 50 years of industry knowledge under our belt and our shop capabilities allow us to meet all your needs. Shown above is a curved fence done for NYC. Custom weldments have been a specialty for Brakewell for many years. 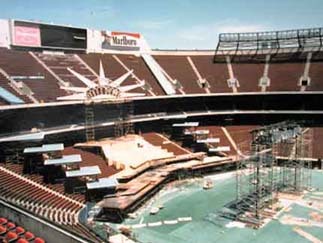 We have fabricated many stage lighting yokes and conveyor systems. These are just a few of the examples of Brakewell’s capabilities. These larger weldments are usually more complex and require a skilled shop that knows how to handle the hurdles of dealing with something of this magnitude. Brakewell is accustomed to dealing with projects of this size and welcomes the challenge. Brakewell is proud to have manufactured the stage lighting yokes for Yankee stadium(pictured above left) and the conveyor belt system for Wendt Corp(pictured above right). Brakewell has several types of stair carriers in stock at all times. We have been supplying iron shops throughout the Northeast for 50 years. We sell ’em cheaper than you can build ’em. Let our efficient production save you time and money. Don’t worry of your project doesn’t fit our capabilities; if we can’t roll your built up tubes and/or channels we can fabricate them. Or maybe the rolling you need isn’t standard; we also do custom rolling. 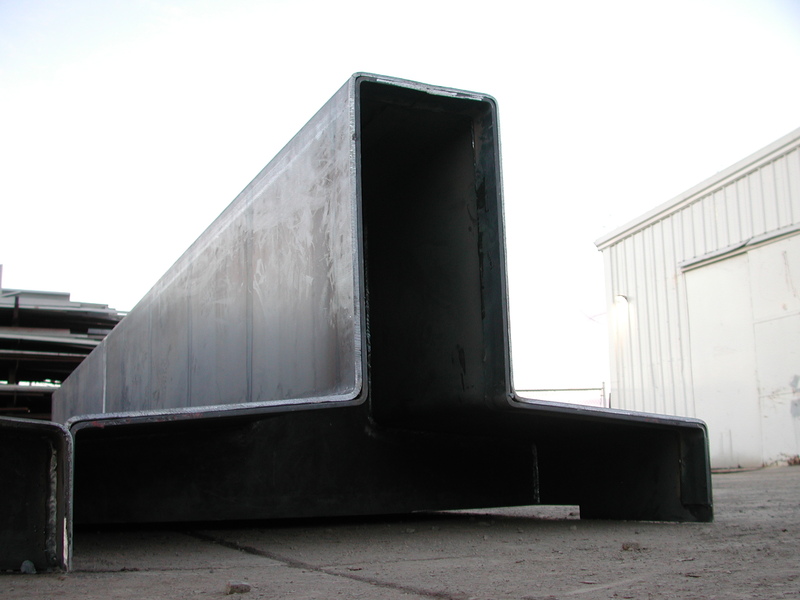 We also fabricate NYC steel faced curbing. We sell them in 20′ straight lengths and up to 12′ curved lengths with tangents attached. Please feel free to get in touch about any job, similar or otherwise. Sports Illustrated at Time/Life Bldg.